Are you ready for back to school? Those first day of school pictures will soon be filling up your news feed. Don’t start the school year off without some of these perfect essentials for back to school to help you be ready to tackle another year of school! 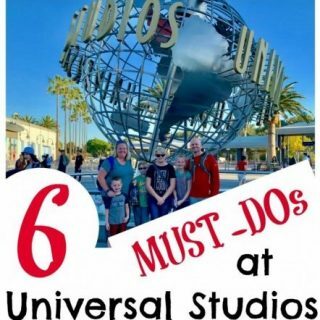 Whether it’s your first child starting Kindergarten or your children are into the middle grades or high school, there’s something for everyone in this guide! We received a variety of samples and/or compensation for this post. All opinions are our own. Start the new school year with an organized dresser. Tidy Snap helps your kids clothes rolled and easy to sort through the drawer to find just what they’re looking for. One of my favorite aspects is not rewashing clothes that have never been worn simply because they threw them on the floor. If it’s still in a Tidy Snap, it’s clean and ready to wear. The Tidy Snap system comes with a board and bands that will remind you of snap bracelets from your childhood, only stronger. Kids can help folding and rolling their clothes teaching them responsibility. See the Tidy Snap in action on their website for more information. Help your kids start off the day right by waking up on time and with their favorite tunes to make that early morning wake-up as pleasant as possible. Homtime offers a range of alarm clocks that have thought of everything and packaged it all together into a sleek, modern design – with 3 choices! Pick a C1pro for a small and compact alarm clock design that still has everything you need. Or choose the larger C12 alarm clock which also adds FM radio support and can accept hands free calling. Finally, the wooden design of the M9 alarm clock will upgrade the feel of your space and it has an NFC-Enabled connection! All 3 of these smart clocks have USB charging ports to streamline your nightstand aesthetics and Bluetooth connection so you can listen to your favorite tunes. You’ll be able to dim the clock face and check the temperature in your favorite Homtime alarm clock. Equip your children with the best shoes for the new school year with KidsShoes.com. You’ll find hot style for the new school year for boys and girls, and every purchase comes with a free back to school bundle with purchase! Find the perfect shoes for their uniforms, sports wear, and everyday outfits with all the top brands including Kenneth Cole’s Reaction Driving Dime that give a streamlined look with extra comfort you don’t find in most dress shoes. You’ll want a good pair of tennis shoes for PE and recess, like these Spotty Sport shoes that are exclusive to KidsShoes.com and come with a limited edition KidsShoes.com drawstring bag as a fun extra. It’s so important to choose a backpack that will hold up to a school year of use and help your children transport their supplies, schoolwork, and lunch to school and back each day. eBags.com is the go-to destination to find the right backpack for your child’s age and needs. We got a sneak peek of the latest backpacks for the season from eBags.com, like their SuperBreak Backpack available in 30 on-trend prints like this fun Galaxy print we selected. Older students will appreciate a backpack with an internal sleeve to protect a laptop or tablet and stylish leather accent of the Right Pack Expressions line. If you need a backpack to go with you wherever you do, look for one with internal pockets, airport security friendly, and padded straps and buckles to help distribute the weight like the Surge Transit Laptop Backpack. No matter what type of backpack you’re seeking, eBags has the widest assortment available, most with free shipping! The garage door is a main entrance to your home, but it’s the door most often left open and unsecured. With the help of MyQ Garage, a Smartphone Garage Door Controller, you can check to see if your garage door was accidentally left open right from a smartphone app. There are no ongoing fees, just connect the MyQ Garage to your home Wi-Fi and you’ll be able to communicate and open or close your door even when you’re away. It can provide an easy way to let your children back into the home after school and ensure the home is secure in the mornings after they leave. You can even set up custom alerts to let you now if the garage door has remained open for a specific period of time. Installation of MyQ Garage takes just minutes. Oriental Trading has a whole range of fun products to enrich your child’s after-school fun. We’re loving their Magnetic Activity Sets. They are themed around learning topics from additions, shapes, colors, or letters, there is even a set to help in the retelling of nursery rhymes. You’ll also want to browse the whole line of classroom essentials from Oriental Trading to help create a homework space to tackle homework with less struggle. You can even pick up an assortment of prizes or mini games to motivate your child to stay engaged during the school year. Visit Oriental Trading Co’s Learn365 hub to easily browse for educational supplies based on category or subject to find the best activities and supplies for your family. Give your kids a way to make exercise fun with Mongoose Scooters. They’ll be begging to head outside to play when they have something they enjoy doing. Try their Force 3.0 Folding Scooter which conveniently folds to make it easy for them to take along to fit in a school locker or on whatever adventures come there way. It includes a kickstand to help prevent damage to the handle grips and frame. The deck is coated with MaxGrip and the scooter has an easy to use steel brake that make this scooter safe and easy to use. 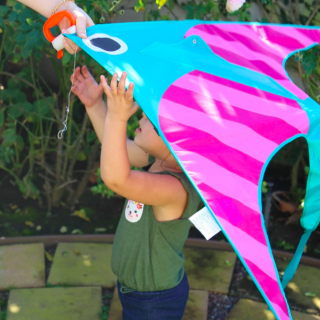 It is designed for kids ages 8+ up to 220 lbs. For a child that likes to do tricks, the Stance Pro Freestyle Scooter come equipped with alloy pegs on both the front and rear wheels ready for a trip to the skate park. You can find both of these hot new scooters available beginning August 20, 2017 exclusively at Target. MindWare has great STEM activities to keep your kids engaged in a way that’s so much fun. My boys are eating up all of MindWare’s activity books, like their line of Extreme Dot to Dot books with puzzles anywhere from 500 to 1,400 dots per image! For the younger crowd, get started with Extreme Dot to Dot Stickers that start with puzzles that include 90 to 230 dots and fun stickers to complete the picture. Try the Extreme Mazes and Perplexor puzzles, too. Another fun idea to kickstart the new school year is with an Unbored Time Capsule kit. 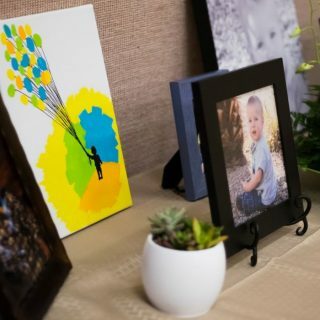 Record details of what life is like today, and tuck away the capsule, or bury it underground, and bring it out again a decade later, or when graduation hits, for a wonderful look back at how much your child has grown, and how the world around has changed over the years then passed. For more fun, try one of the other Unbored kits including a Treasure Hunt, Disguises, and Carnival kit! My boys have been through a lot of headphones, but none have been able to handle how rough kids are with technology, until onanoff Headphones! 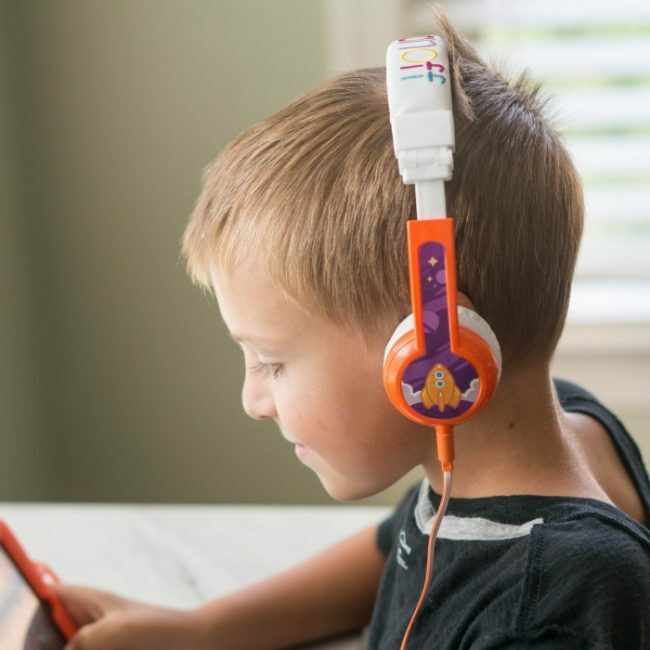 These incredibly durable kids headphones made from polyproplene that can be bent and pulled in any direction and still stay looking like new. They’ve made safety a priority with their Safe Audio that limits volume to a safe 85 db, recommended by the experts. The detachable cord has a built-in microphone perfect for use with interactive learning apps. They’re making sharing a device a cinch with the BuddyCable that lets you connect multiple pairs of headphones to a single device so easily. Learn more about onanoff headphones on their website. 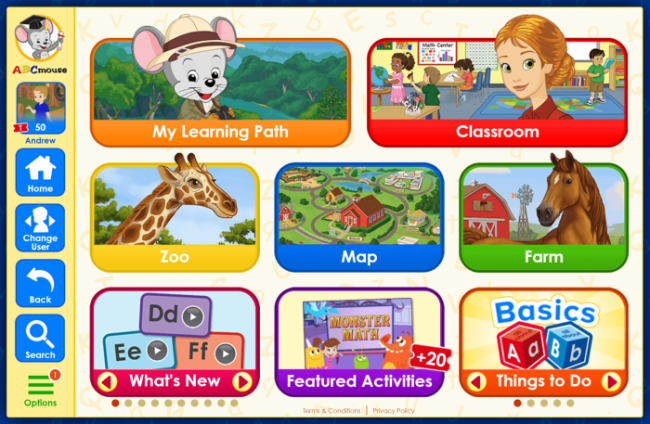 For an all-inclusive learning environment, turn to the trusted ABCmouse.com site. 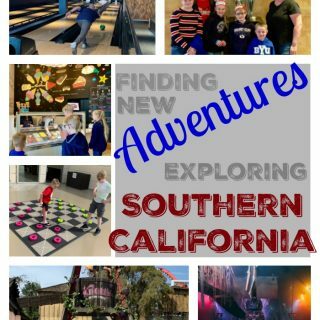 They are the go-to destination for families with children ages 2-8 and are used in many classrooms, too. When you subscribe to ABCmouse.com, you’ll be able to setup profiles for up to 3 children where they can be guided to resources that are just right for their age and what areas they need more practice. 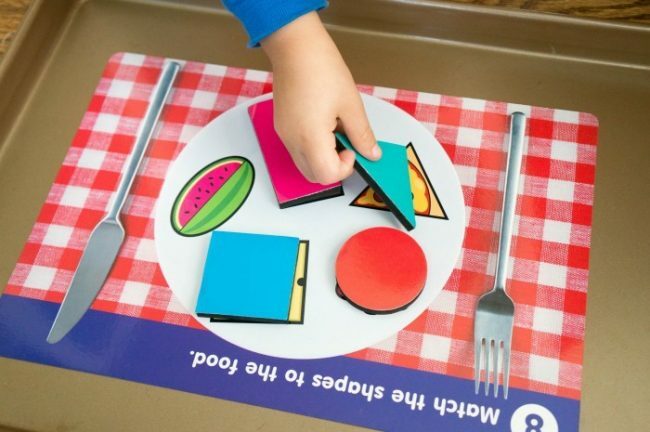 The’ll be able to learn with puzzles, games, books and songs – there are even printables to extend learning off the computer to your table. What’s really cool is parents can track their child’s activity and progress to know where they need additional help. Check out ABCmouse.com to learn more about their online learning platform and subscribe! It’s time to start thinking about filling lunch boxes and after school snacks. There’s a fun way to make lunch box exciting with good2grow. You’ll be able to choose from 100% juice products, juice medleys that combine fruit and vegetables into one serving, or juicy waters line of flavored waters that are a great alternative to juice and soda. All of the good2grow products have no added sugar and nothing artificial so you can feel good about what you’re serving to your children. 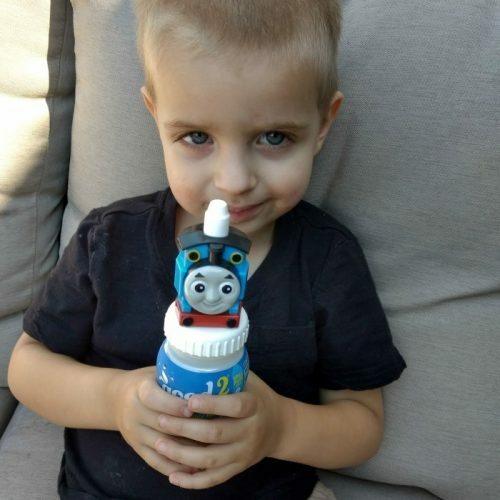 The bottles are BPA free and safe for kids and can be topped with their unique bottle toppers featuring favorite characters including Disney princesses, Teenage Mutant Ninja Turtles, Star Wars, super heroes, and many more styles! good2grow is the perfect compromise for bringing a drink you’ll want your kids to choose with the packaging and fun toppers that make kids love their choice! You can find good2grow at Wal-Mart, Target, groceries stores and select pharmacy stores near you. A back to school essential is a water bottle. It’s so important that many schools require them! Get them ready with a Contigo water bottle with spill proof designs that are perfect for the classroom. The AUTOSEAL Gizmo Sip protects from backpack leaks with a button the child presses to open the valve to drink. It gives that extra layer of protection from spills than relying on a closed lid. It’s easy for kids to use and a perfect size at 14 oz. 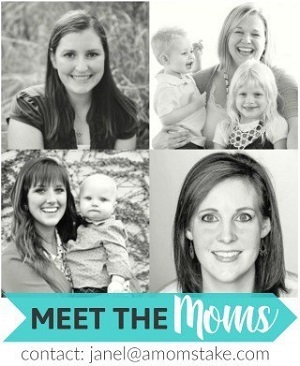 Plus, they come in a variety of darling prints that kids will love. Older kids will appreciate the AUTOSPOUT Chug that opens with the press of a button and gives a free-flowing spout to quickly drink as much water as they need. Use the sliding button lock as extra security from the button being triggered in your pack. Head over to the Contigo website to check out their entire line of products. One area that many kids have trouble understanding is math concepts! You can make that a thing of the past by helping your child practice and learn early math facts with the help of Zap Zap Kindergarten Math App. They’ll be eager to practice and engaged with the lesson plans with the fun environment created inside the app. Zap Zap Math is a widely popular app for helping students solve math problems, and the addition of their new Kindergarten focused app is perfect for your children just starting school for the first time. The app covers math practice focused on the concepts they’ll learn at school including practice around number recognition, addition and subtraction, recognition of shapes, and measurement practice. Get the app now, available in both the Apple App store and in the Google Play store. Equip your home or classroom with fun educational tools and games to turn learning into an experience. Learning Resources has so many fun products to really engage the kids in learning. Like the Counting Dino-Sorters that can be used to practice patterns, counting, sorting, color, or early math practice. Even early practice with my toddler was fun teaching him the sequence of numbers and letting him pick the colors and dinos he wanted to fill each of the eggs. The Gears! Gears! Gears! Cycle Gears set is a fun way to get creative and learn early cause and affect. 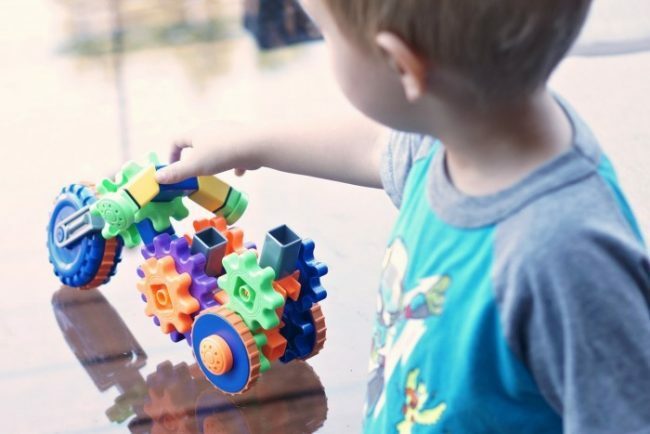 Start teaching your kids early coding skill with the fun Code & Go Robot Mouse activity set. Build a track for the mouse, then program him with simple directional steps and watch him zip through the maze. There are cards to help guide the play with ideas for setup and the steps for programming the mouse to make it accessible for a range of ages. Find even more fun tools for the new school year at Learning Resources. Start the new school year off with a special gift that your family will treasure for years to come. 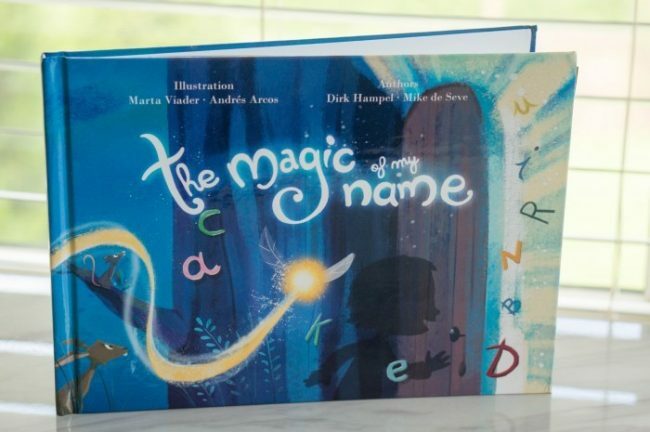 The personalized children’s books by The Magic of My Name share an adventure around your child’s own name that’s completely unique to them. Each letter of their name takes the storybook character through an adventure to discover their unique values and traits that creates their name. The illustrations are absolutely gorgeous inside the book and my son loved reading a book that was all about him. You can start personalizing your child’s book by selecting gender and entering their name. You’ll also be able to personalize how the storybook character appears so they’ll look similar to your child. Then, add a personalized dedication page message and select your language of choice, with 8 languages to choose from. You’ll be able to preview the book before you order to ensure it’s just right before you order The Magic of My Name book for your child. Encourage a love of reading and enjoy books together as a family with Penguin Random House Audiobooks! You can pick out titles that the whole family can enjoy and listen to a story during the school pick-up and drop-offs and for all the other around town tasks. Get started with the latest title in the Magic Tree House series, A Big Day for Baseball. We all love the series and learning a bit of history along with their journey to places from the past. Or, get lost in a brand new series! 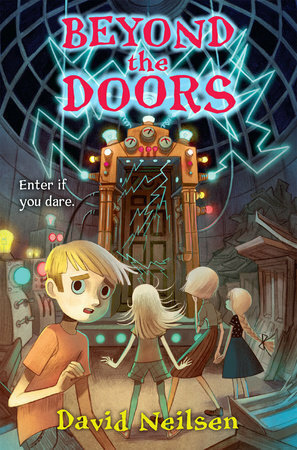 If your family has enjoyed A Series of Unfortunate Events, you’ll like the new release Beyond the Doors. Penguin Random House offers a whole assortment of titles for kids, teens, and adults to enjoy, including bestsellers like The Secret Life of Bees and more! What’s your favorite back to school pick from our list? Such an awesome assortment of school related necessities! A high quality backpack is always a must for my kids, especially since their school does not have lockers. They carry around a lot. 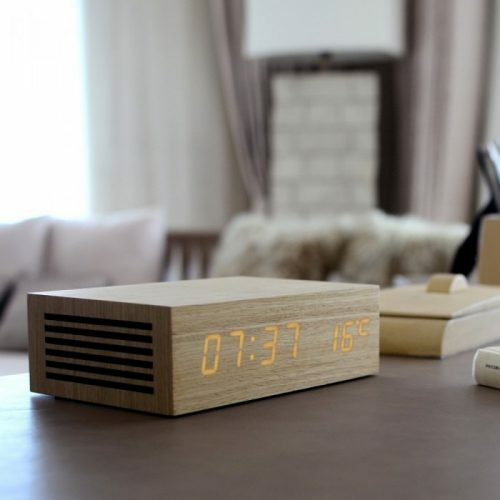 To begin with, that alarm clock that looks like a block of wood: Awesome. Seriously, I love how they make the display look as if it’s part of the wood. I also really like the headphones. We’re trying online schooling this year, and a headset is absolutely crucial for my son’s school. Not sure if I like the alarm clocks more of the garage door controller. Might have to get them both. My son would be ALL OVER that Mongoose scooter. We use ABC mouse in our family and totally love it!